Cruise ships may be allowed to run services to and from the City of Liverpool Cruise Terminal if a 10-week consultation launched by Shipping Minister Mike Penning approves the proposals put forward by the local council. Holidaymakers should remember to take out travel insurance cover before getting on board. 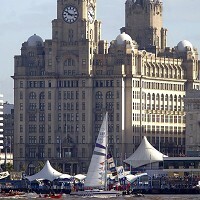 The Liverpool City Council had received grants from the North West Development Agency and the European Regional Development Fund to construct the cruise terminal. However, the Department of Transport (DoT) believed that the terminal, which opened in 2007, could possibly enter into unfair competition with other ports in the country. As a result, it said that passengers cannot start and end their voyages in the terminal, while only cruise ships that are on a longer journey will be allowed to call at the city. Under the latest proposals, the Liverpool City Council has offered to repay nearly £5 million in Government grants for a lifting of the restrictions by the DoT. An approval of the proposals could allow the terminal to make changes in the way it functions.